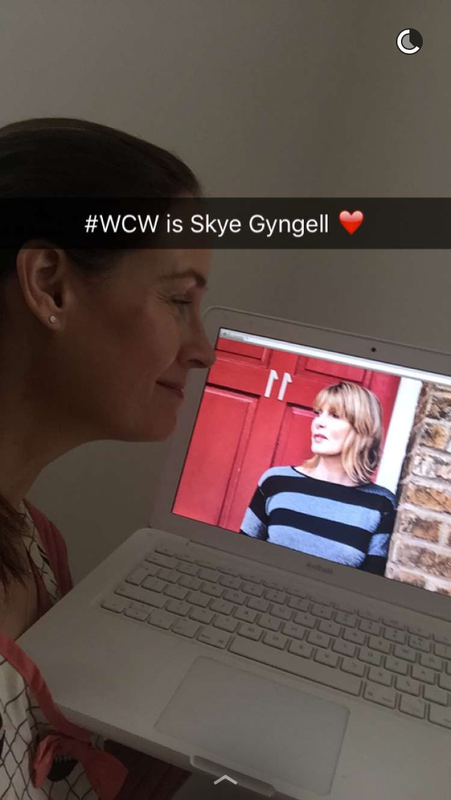 After last week’s fun in L.A., I am back home in London for another edition of Woman Crush Wednesday. And since I’m in the U.K. now, it felt appropriate to show the love for one of England’s most beloved chefs. 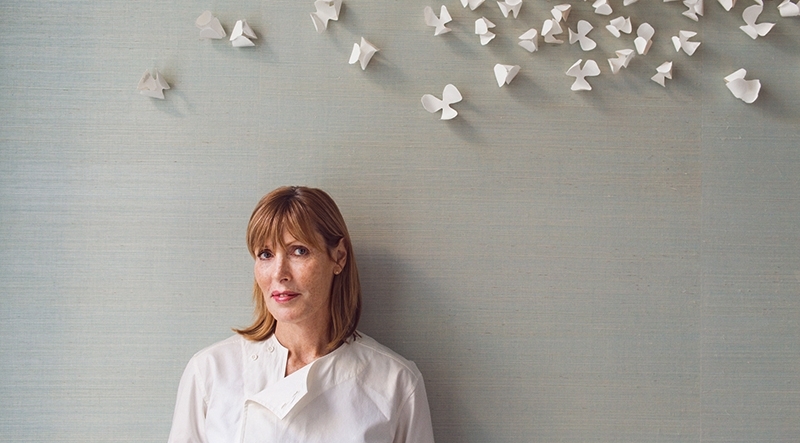 Though Skye Gyngell is originally from Australia, she has made her mark in the culinary world here. She took Petersham Nurseries to Michelin Star status. And as I shared on here with a Foodie Fieldtrip Friday post, Skye’s latest creation, Spring, is not only delicious but also in a stunning location. Today’s #WCW is of course beautiful inside and out, but she is also a major player in the gastronomic game. As a successful restauranteur and cookery book writer (all while being a mum) she has classic French culinary training on her resume. Yet her recipes are not fussy at all, using the amalgam of ingredients to create the complexity of flavors. Her reverence for seasonality is her trademark and the changing menu at Petersham Nurseries and now Spring reflect that. 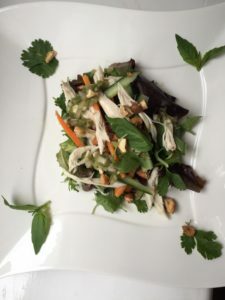 Today’s recipe re-creation is a quick and satisfying chicken salad, which judging by the ingredients should be delectable. To make the nam jim, pound the coriander stalks (the roots and stalks of coriander are used in cooking; the leaves are reserved for garnishes and salads), with the garlic and salt using a pestle and mortar until well crushed. Add the chillies and continue to pound. Mix in the sugar, fish sauce and lime juice, then the chopped shallots. Set aside. Wash and pat dry the chicken, then place in a large pot. Add the ginger, coriander and lime leaves, and cover with cold water. Place over a medium heat, bring to the boil then turn to a simmer – you want the chicken to cook gently. Poach for 40 minutes. Take the pot off the heat and allow it to cool for a while, before removing the chicken from the cooking broth. 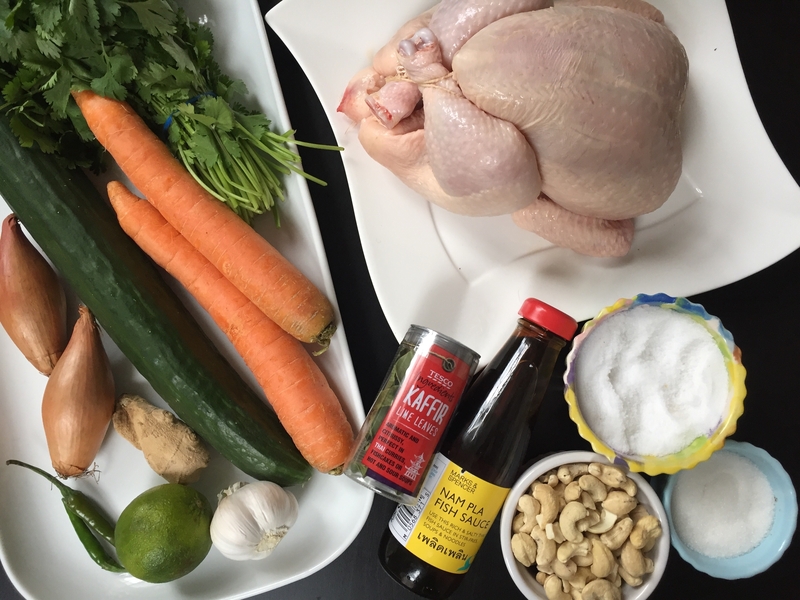 Poaching is a lovely way to cook chicken that’s to be served at room temperature – it remains deliciously soft and moist. For the salad, peel the carrots and cut into fine matchsticks. Slice the cucumbers in half lengthwise and scrape out the seeds with a teaspoon then cut into fine matchsticks. Gently roast the nuts until golden-brown. Remove and allow to cool, then chop roughly. Not only is this salad easy to prepare, it is vibrant and fresh tasting. It feels clean and healthy, and has loads of different textures and flavors. There is crunch with the carrots and cashews, and the chicken is so moist and tender you barely need to chew it. The heat from the peppers is balanced with the sweetness from the sugar and the tartness of the lime juice. And the fresh herbs along with the cucumber really make it seem like you are eating in the middle of a garden of paradise. I will definitely be making this dish again. As well, if you don’t dress all the ingredients, you can make this salad last for days once all the bits an pieces are prepped. So being on point with an eating plan is more simple to adhere to that’s for sure! This dish is the epitome of Skye Gyngell’s ethos. Even though she is a highly trained and regarded chef, she lets the ingredients do the talking. When paired in the right combination, magic happens. While she may be an alchemists, thank goodness she doesn’t keep her secrets hidden away. She shares them for all of us to enjoy as she leads the change towards a better appreciation for delicious and elegant, yet simple food. 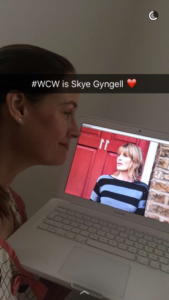 Thank you Skye for all of your inspiration for us female foodies, and for anyone in the culinary world. Your achievements and humility make you such an incredible person! May all good things continue to come your way!